Why Raycon? The Supreme Mic M30 is all about inspiring the future. For many people, thoughts revolve around the past or present, but for us, it's all about that future goal - it gives us something to chase, something to improve, something to conquer. But when we get there, that's not the end. We believe in perpetual growth and constantly looking ahead, and that's our inspiration behind every product we design; it's the philosophy that each Raycon product embodies. Whether you're working, commuting, at the gym, or at home, our products are built to keep up, outperform, and conquer. Backed by a one (1) year product warranty, Raycon products are meant to last. With offices based in New York and California, we are committed to delivering excellence to our customers. Our Bluetooth Audio Collection Experience the Supreme Mic M30 and explore the world of Raycon audio, engineered for the digital nomad. From wireless earphones and headphones to wireless speakers and mics, we've designed this collection on three fundamental cornerstones - no distortion, superior sound & paramount comfort. With its beautiful brushed aluminum finish and audio optimized built in wireless speaker, the Supreme Mic M3 is the mecca of smart microphones. 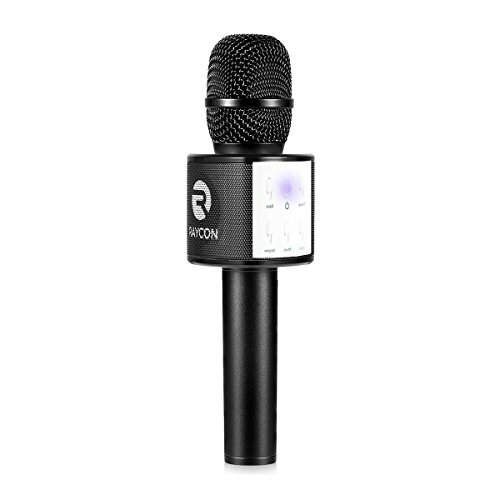 If you have any questions about this product by Raycon, contact us by completing and submitting the form below. If you are looking for a specif part number, please include it with your message.